A lot of planning processes start out with a spreadsheet – It provides an easy, intuitive and flexible way to structure your data. Times goes on, your planning process grows and more functionality and data are added to the spreadsheet. Producing a plan requires plenty of data from different sources. The planner needs the closed sales orders to generate the forecast, the open sales orders to be able to net that forecast, the on-hand and the confirmed purchase orders to generate the plan… Most likely these data will come from different sources and the planner will have to copy paste these into his/her Excel file. This is a long and repetitive task with no added value and it has the major drawback of consuming a knowledgeable person’s time. Also, the more data is added into the file, the more time it takes to open, edit, generate the plan, this is again some waste of time for a planner. An Excel file is not a collaborative way of working and is usually a one-man file. Even if the file is located on a shared folder visible by many people, this is definitely not a collaborative way of working as the first person to open the file even for reading will lock it for editing to other people. This becomes even worse when there exists (and there always exists!) multiple versions of the Excel file, this can lead to errors as we end up not knowing which version has the latest information. 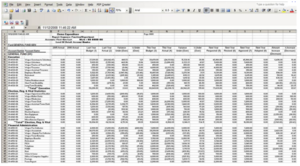 As mentioned above, populating this Excel file is a painful process often composed by copy/paste actions, this can be the cause of major data errors in the file. On top of this, as the file may be available for editing by different people, it is possible that some formulas have been wrongly modified and used for a while before somebody notices a problem as it is very uncommon that a data validation process has been developed in the Excel sheet to track for possible mistakes, either in the input or in the output. If small supply chain problems can definitely be handled with an Excel file, as your business will grow, you will quickly reach the limits of the Excel file. Your results won’t be optimal and this will cause excess inventory, excess work in progress, and delivery delays for customer orders. 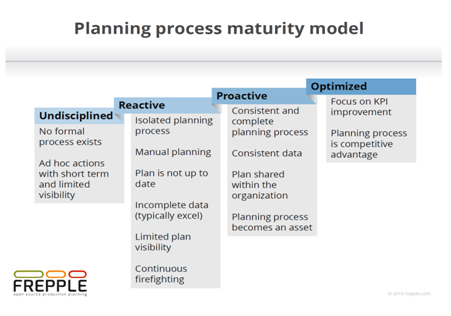 As a conclusion, moving from spreadsheets to a planning tool is a natural leap when a supply chain reaches a size that makes it difficult to handle with spreadsheets. 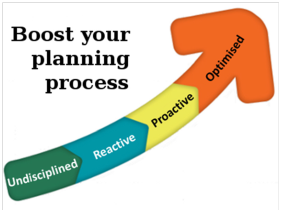 It allows your planning process to move from reactive to proactive and opens the door to an optimized and competitive supply chain.